Wanna have a different but money-saving wedding? 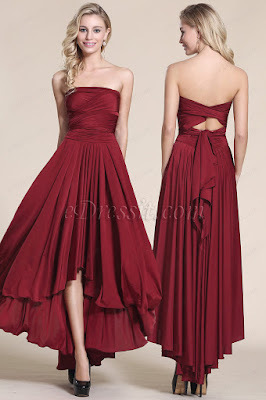 Let's start with your bridesmaid dresses! 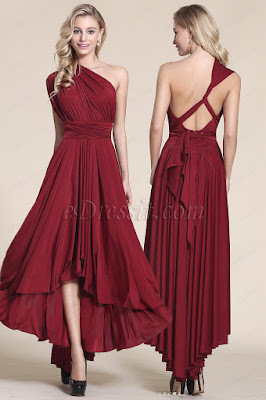 As a bride, sometimes it is difficult for you to choose a right bridesmaid style for your best ladies, as they have different shapes, and each has her own idea. 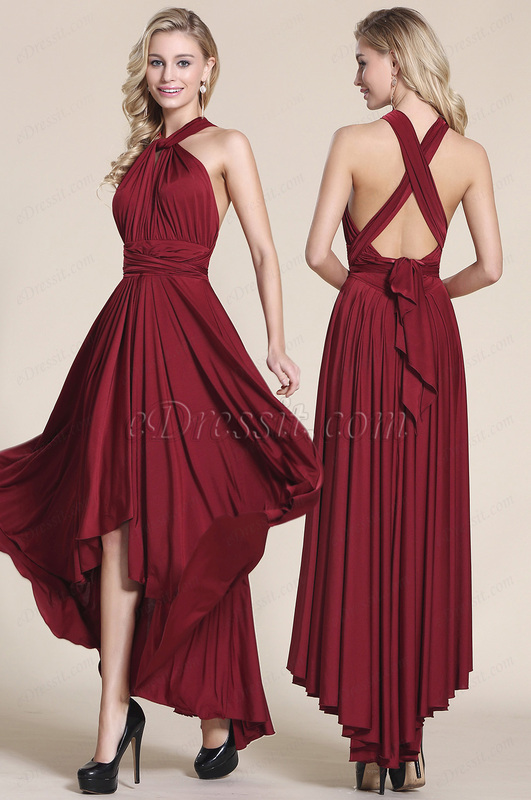 So here comes a magical dress that can meet every one's taste based on their figures. One dress with endless styles, which is very easy to create the way you like, no matter it is a classic strapless sweetheart style, capped sleeves, halter neck, one shoulder, and there are even many more styles can be created. 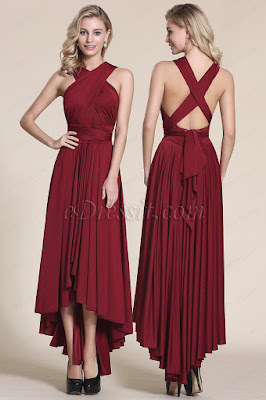 High low burgundy dress with strapless flat neckline, with a bow tie at the back. This semi-formal dress gives off fun, retro vibes but still feels sophisticated. Front tie halter neck cross back! You'll be surprised by the textured and flowy skirt this dress brings to you. Front and back criss-cross halter neck! Make a stunning entrance into this look. This style is also very easy to create,complete the look with a pair of chic heels! Let's check this one shoulder style. Asymmetrical shoulders are huge for bridesmaid dress fashion. Let your girls choose this style for your special day! Sleeves! 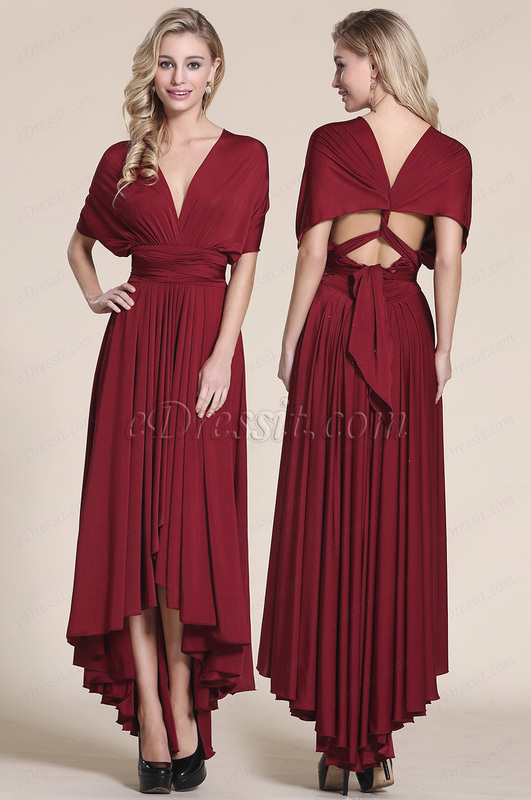 This style seems a little restricted but modest!Elegant sleeves cover more and create a graceful look for bridesmaids. This style is perfect for girls with heavy arms! Capped sleeves! 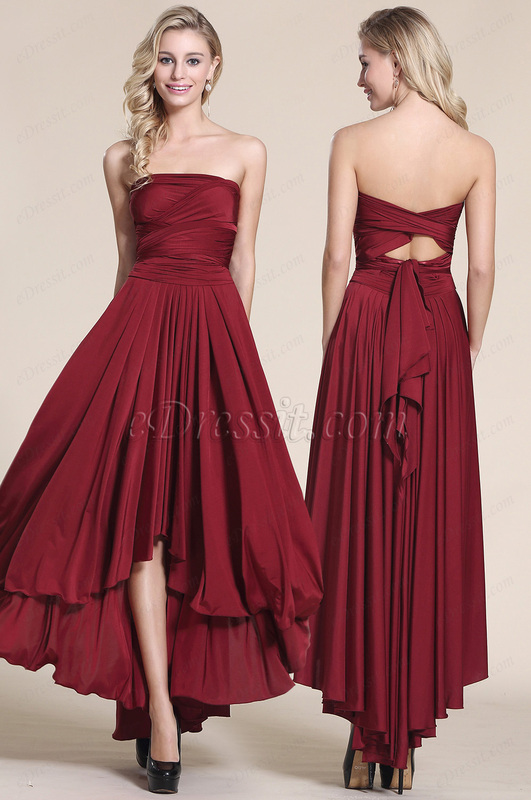 Chic and elegant, cap sleeves bridesmaid dresses are getting more and more popular these days. Neither too revealing nor too restricted, it is a perfect compromise between sleeves and sleeveless! 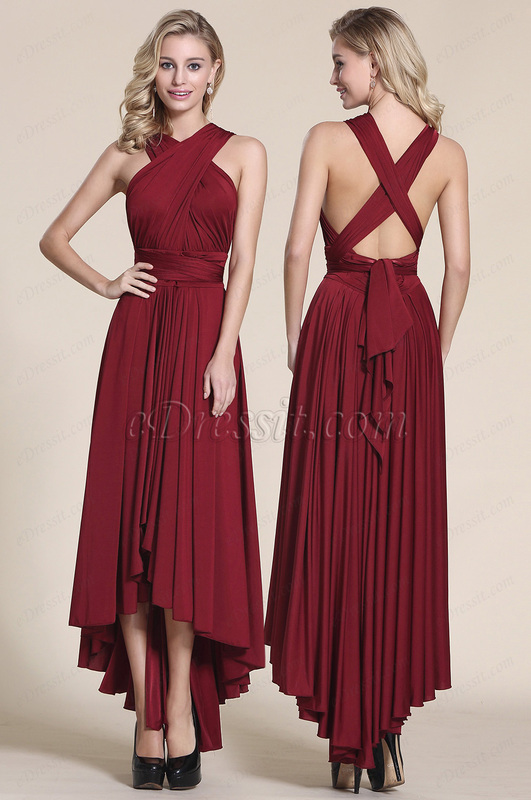 Embrace this convertible burgundy bridesmaid dress now and have a unique mismatched wedding!